Evangelisation expert: Ron Huntley. Photo: Emilie Ng. CONVINCING an atheist or lapsed Catholic to fall in love with Jesus Christ begins with recognising that “people don’t care” about catechesis, Canadian parish coach Ron Huntley said. Speaking at the 2018 Proclaim Conference in Brisbane, Mr Huntley said the reason why the Church was not growing boiled down to a fundamental truth, that people don’t care about being taught more information on the Church. 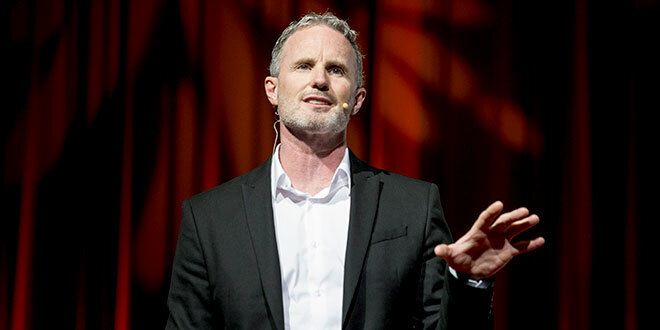 “We’re teaching people things as if they don’t have enough information but really they don’t care,” Mr Huntley said in his keynote on July 13. Drawing on his own experience as a coach for parishes around the world, the Canadian lay leader at St Benedict’s Parish, Halifax, said changing the culture of apathy or indifference to the Catholic Church meant leaning into evangelisation and leadership. Mr Huntley encouraged parish and ministry leaders to talk with their team about the difference between a toxic and a healthy group. “Who wants to belong to a toxic team?” Mr Huntley asked delegates at Proclaim Conference. Bringing more people into the healthy team is evangelisation, Mr Huntley said. However, many parishes and ministries defined evangelisation by any task facilitated by the Church, whether it’s Catholic education, hospitality, or even planning a funeral. 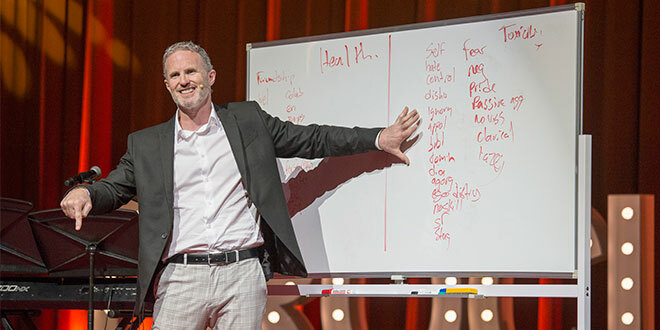 “Here’s the definition from the disciples – the disciples become a disciple when they have a transformation and encounter with Jesus Christ,” Mr Huntley said. Despite the richness of the sacraments that the Church offers, especially the Eucharist, Mr Huntley said the Mass was “not a great place to interface” with people who were sceptical of the Church. “Church doesn’t make sense until we fall in love with Jesus Christ,” Mr Huntley said. Bringing a person to Christ is what God expects from the Church and the only way to be fruitful. This, Mr Huntley said, was the mission of a Church struggling to retain its numbers. “Ninety per cent of self-proclaimed Catholics don’t go to church,” Mr Huntley said.